The Subaru Impreza WRX STi provides near supercar performance without the supercar price. These cars offer 300hp in a 2.5 L flat four which burbles at idle. The all-wheel drive platform offers excellent balance and plenty of bolt-on performance upgrades to keep you at the top of the game. A used STi goes for $23-25k, or about the same as a brand new Toyo-baru FR-Z with the added bonus of a 33% more power and two extra doors. The entry level speed demon is mean for thrashing around the racetrack(it was built for WRC) and is perfect for going to your local track day or autocross event. 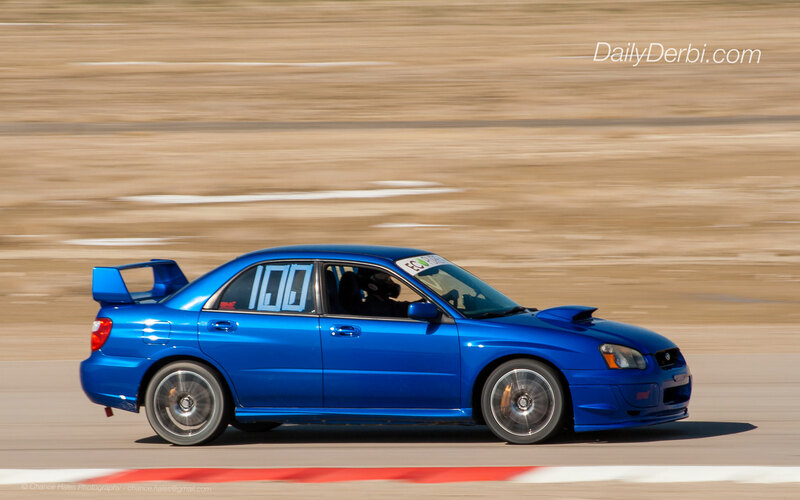 WinterX, a run-what-you-brung, autocross event held at Miller Motorsports Park is an easy way to get started in some not so serious, yet competitive series of racing. The event is held on the second saturday of each month during the off season. The only requirements to enter is a helmet and a $65 plus tax entry fee. Events such as WinterX are held all over the globe, and cars range from Audi R8s to Dodge Neons.